Comment: Micah issues a Godly challenge to the people. They’re inclined to try and impress the Lord with amazing, huge gifts. Maybe burnt offerings, calves, thousands of rams and rivers of oil, even first born children are what the Lord wants? But, no, Micah says, this isn’t what the Lord wants. The people need only seek justice, love mercy, and walk humbly with God. That is, they only need do God’s will, and have a relationship with God. The same thing plays out in The Gift of Nothing. Mooch the cat wants to get a present for his friend Earl the dog but can’t figure out what to get him. Should Mooch buy him something impressive? What would be the best gift? Mooch finally realizes that the best gift is simply being with his friend, the gift of spending time together. When we are troubled or feeling inadequate, we may try and impress the Lord, we may turn to material things. But that isn’t what God requires of us—all we need to do is seek justice, love mercy, and walk humbly with God. All God wants is a relationship with us, and for us to do God’s will. Comment: In Junkyard Wonders, Trisha’s class includes students who have challenges at school. The rest of the school is unkind to them, referring to them as “The Junkyard”. 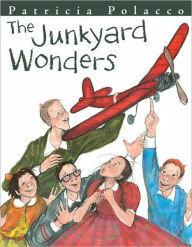 Their teacher, Mrs. Peterson, decides to show them how wonderful they are instead and takes them to an actual junkyard where they find all the pieces, and discover together they have all the skills, to build a working model airplane, which flies for everyone to see. In I Corinthians, Paul tells the Corinthians that God intentionally chooses what appears to be “foolish”, “weak”, “lowly”, “despised” by other people, because God doesn’t see them that way. With God, these things and people can do amazing things, overcoming what other people view as “wise”, “strong”, “powerful”. Just like in Junkyard Wonders, where people whom others consider lowly are amazing, God chooses us even if we feel we aren’t strong, amazing, or don’t hold a lofty position. Even if other people fail to see it, our value is found in God and God choosing us. Comment: In his sermon on the Mount, Jesus picks out those situations and people who seem cursed and declares them blessed. It’s an unexpected turn, renaming these people and their situations for everyone to hear. 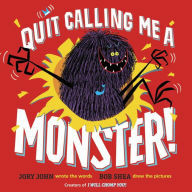 In Quit Calling Me A Monster!, a monster laments that because he looks, talks, sounds, like a monster, everyone calls him a monster. But he doesn’t want to be called that, he wants to be called Floyd Peterson, and get on with his everyday activities. He insists that everyone call him Floyd Peterson, which they do at the end of the story. The monster wants to be called by his name because that’s who he is deep down. He looks a certain way, but he knows he’s not that way, and wants to be called something else. Just like that, and like Jesus renaming situations as blessed, we can see blessing in who we are, no matter what the world sees. The Lectionary Links this week are written by Sara Anne Berger, pastor of the First Presbyterian Church, Nachitoches, LA. Lectionary Links (RCL): January 29, 2017 by Storypath is licensed under a Creative Commons Attribution-NonCommercial 4.0 International License. I absolutely love the Quit Calling Me Monster connection to the Beatitudes. Also it’s a great book I hadn’t seen before. Thank you!